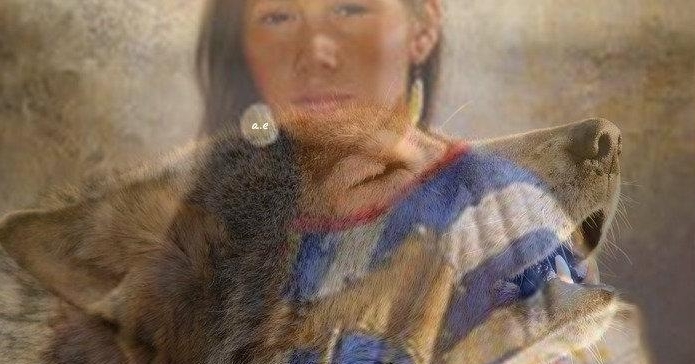 We -- the wolf and the first peoples -- have within us a key to the future of this country and, indeed, the world. A truth instilled by adversity. A truth both ancient and new. Milenniums ago we both roamed freely. We did not destroy the land or contaminate the water or foul the air. Our populations did not exceed the physical world's ability to support us. We each had a place in the natural order, the Great Circle of Life, and we kept our places. Nor did we unduly or self-righteously interfere with any other species. The new, more recent truth comes from having stood on the brink of extinction. It is simple and frightening. The actions, attitudes, and policies by which Indians and wolves are "controlled" are the same that are applied to the land, air, water -- attitudes and policies that have deep roots in arrogance, ignorance, and apathy when they should be based on truth, understanding, and compassion. For the sake of the world, we pray that non-Indians and non-wolves will see these truths. And if these truths are seen and accepted, then we will all know that there is a natural order still, no matter how much we may have allowed technology and anthropocentrism to hide it from us. Joseph M. Marshall III is a Brulé Lakota historian, writer, teacher, craftsman, administrator, and public speaker. Responses to " Lakota historian tells the unbreakable bond with First Peoples and Wolves"